There are lots of exciting things to do in Austin all winter long. But when you&apos;re looking to get extra cozy, try out one of these winter warmers. 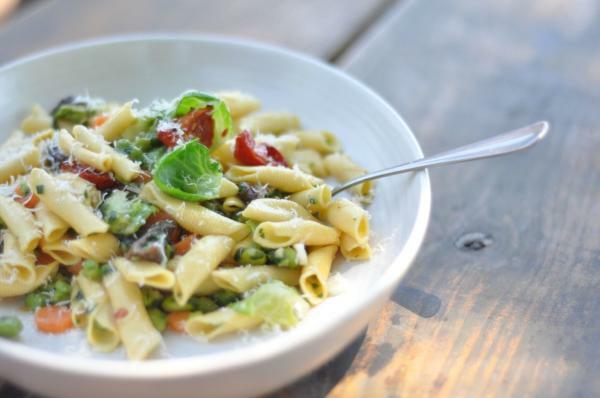 Red Ash, Garganelli With Sweet Peas. Credit Ashlyn Allison. Is there a better way to celebrate winter than to fill up on authentic, home-style Italian fare? Make a dinner reservation at Red Ash Italia, a new downtown locale which serves up fresh Italian dishes straight from the blazing wood-burning oven and grill. Enjoy a walnut Old Fashioned with small plates and crispy country Italian bread, or dive straight into delicacy with a glass of wine and wood grilled cold water lobster tails. Either way, this hearty, rustic cuisine is sure to warm you right up. Looking to impress a date or just relax with friends? The upscale atmosphere at Jeffrey’s always delivers. For a super-cozy gathering, head to the bar area to recline in one of the velvety chairs by the fireplace and order a soul-warming concoction, like the Bobby Burns — a Black Grouse scotch cocktail that comes with a shortbread cookie. Even though the fireplace at Volstead Lounge is faux, the gilded wallpaper and intimate quarters provide a perfectly cozy spot for gathering with friends and sipping high-octane cocktails. Plan a relaxing evening at Vino Vino, a low-lit restaurant and wine bar with a sleek interior, wooden accents and floor-to-ceiling wine racks. The 350 by-the-bottle selections give oenophiles a chance to show off their wine know-how, while the outside patio is a romantic spot for sipping under the night sky and twinkling lights by the blazing fireplace. When "Wine Enthusiast Magazine" names you one of the nation’s Top 20 Wine Bars, you know you’re doing something right. Experience for yourself the wine-lover’s heaven that is South Austin’s Winebelly. The neighborhood wine and tapas bar invites guests to settle in and linger over an internationally curated list while noshing charcuterie, steamed mussels and other lively bites. Farm-to-table bakery and bistro Texas French Bread is Central Austin&apos;s go-to for tucked-away winter sipping. Classy and welcoming, cozy up with a loaf of freshly baked boule and order a glass of your favorite French red. W Austin&apos;s Living Room. Courtesy W Austin. 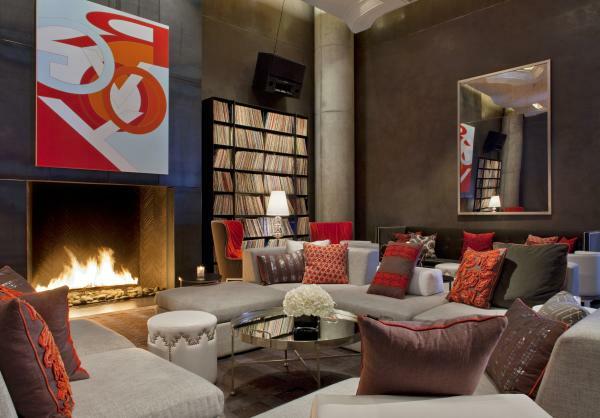 Snuggle over holiday-themed drinks at one of W Austin’s two Living Room fireplaces. Choose from the Tequila Bar and the Records Room. Ask about the Secret Bar and check the event calendar for happenings like Women’s Club Wednesday and Man Crush Monday. What Halcyon lacks in a fireplace, it makes up for in scrumptious s&apos;mores. Part café, part lounge, this grown-up version of a coffeehouse offers tableside s&apos;more service and tasty cocktails (as well as a menu of coffee drinks), so you can roast marshmallows while sipping on a signature chocolate espresso martini, as live acoustic music provides the soundtrack. Where do you go to keep warm in Austin? Share with us on Twitter or Instagram using #TrueAustin!